After more than two years of occupation, and following a nine-month-long battle between the so-called Islamic State and Iraqi-led forces, the vibrant city of Mosul—Iraq’s second-largest city and capital of Nineveh Province—was liberated from the Islamic State in July 2017. Six months later, the Iraqi government declared victory over the terrorist organization, known worldwide for its brutal rule. Since January 2014, the war against the Islamic State has displaced 6 million Iraqis, accounting for about 15% of the country’s total population. The battle of Mosul alone displaced 1 million people from their homes. Along with the 500,000 people who fled the occupation, the majority of Mosul’s population of 2 million have had their lives shattered by conflict. Described as the most intense urban military operation since World War II, the battle is believed to have claimed the lives of between 5,000 and 11,000 civilians and has left an unfathomable 8 million tons of rubble in its wake. The visible impact of the conflict—overwhelming in size—isn’t the only destruction that the people who have now returned to Mosul wake up to every day. The city is rebuilding in another sense as well: psychologically. According to the International Organization of Migration (IOM), as of February 2019, 4,211,982 million displaced Iraqis had returned to their homes. Slightly more than 1.6 million of them have made their way back to Nineveh. During a crisis, pre-existing psychological problems often worsen and the number of people suffering from mental health conditions increases. Depression, anxiety and stress remain the most prevalent diagnoses in the regions of Iraq where International Medical Corps operates. Severely limited access to mental health services, coupled with an increase in the psychological needs of the population following the devastating war, has sadly paved the way for a silent—but very real—mental health crisis in the country. 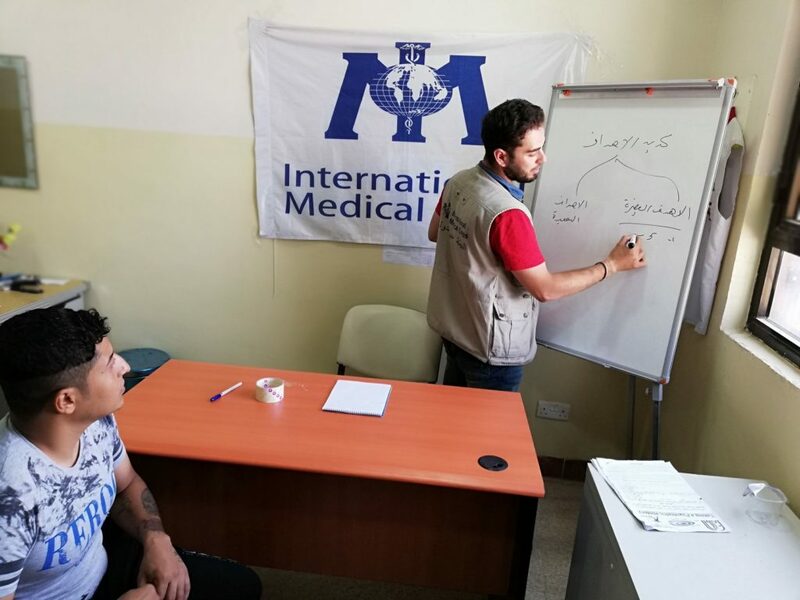 To rebuild Mosul—and respond to the invisible wounds that the Islamic State’s brutal rule left in its wake—International Medical Corps provides mental health and psychosocial (MHPSS) assistance in the city, comprising comprehensive case management services, psychosocial support, psychiatric treatment and referrals for other needed services. Providing MHPSS services is central to International Medical Corps’ assistance in Mosul. It’s also crucial to re-establish a functioning public health system in Iraq to build long-term recovery. 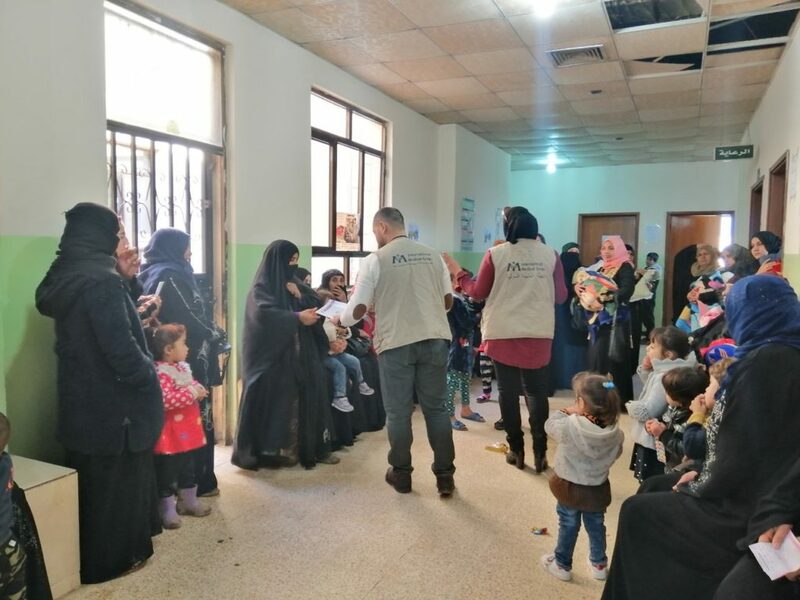 This is why our team in Iraq focus on more than providing comprehensive MHPSS services; they also support Iraqi health institutions through training. The team is conducting training on the management of mild and moderate psychological distress for primary health center staff, and building referral systems for people with advanced mental health needs. This dual approach provides treatment while equipping Mosul’s communities with the skills they need to rebuild long after International Medical Corps departs. 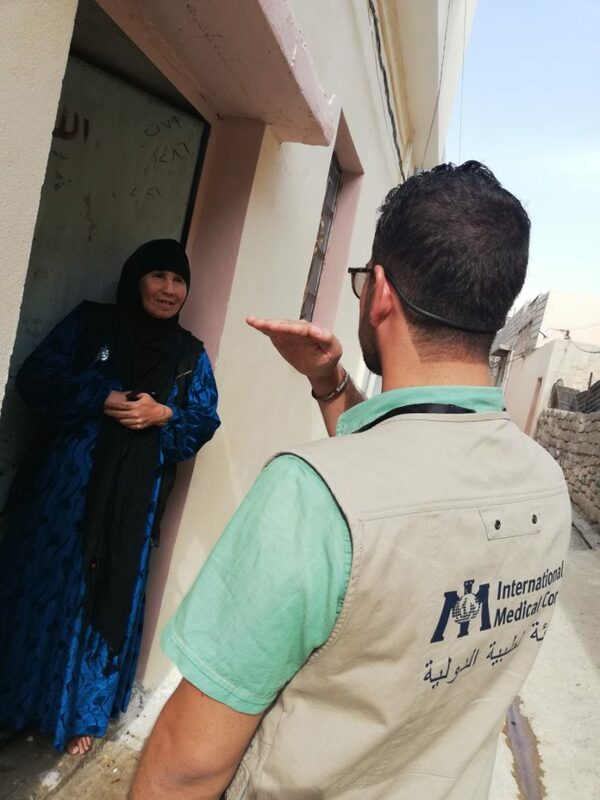 To raise awareness about our MHPSS services, the International Medical Corps team in Mosul carried out a series of home visits in Al-Nahrwan—an area in west Mosul—in July 2018. During one of the visits, they met a young man whom we’ll call Omar who suffered from severe anxiety. Born in 1998, Omar was just 16 years old when Mosul fell into the hands of the Islamic State in 2014. Ahmad Mwafaq Ali—a case manager on the MHPSS team—assessed Omar and referred him to International Medical Corps’ psychiatrist, Dr. Ahmad Abdulqader Suliman, who established a treatment plan for him. The treatment included individual sessions between Omar and the case manager at the Rafidain Primary Healthcare Centre. Initially, the sessions focused on building trust between Ahmad and Omar. Another integral part of psychosocial support are exercises to promote empowerment and self-confidence. Through praise and the promotion of positive ideas, the person is made aware of their mental and social abilities, as well as encouraged to break cycles of negative thoughts. When providing psychosocial support, it is also crucial to integrate the person’s family, relatives and other community members for vital social support. The beneficiary is encouraged to exercise and participate in social events. As such, this integrated treatment diminishes negative thought patterns and reintegrates the person into the community through family and peer support. After the referral to our psychiatrist, and following 65 days of psychosocial support, Omar started to engage with his community—he even secured a job as a builder. Although Omar has successfully completed his treatment, he remains in contact with International Medical Corps’ MHPSS team, for ongoing support as needed. International Medical Corps continues to support the Iraqi people as they strive to restore some level of normality to their lives. In a country that suffered from a shortage of mental health services before the tyranny of the Islamic State, the need for mental health assistance is now at an all-time high. This is why International Medical Corps put a high priority on providing MHPSS services, helping people like Omar along the road to recovery.